Thanks go to Cat at Things My Belly Likes (again – really, I’m not stalking you, I just like your food) for this simple recipe for a great side dish! We started with Cat’s recommendation of 3 slices of bacon, which we fried up and set aside. 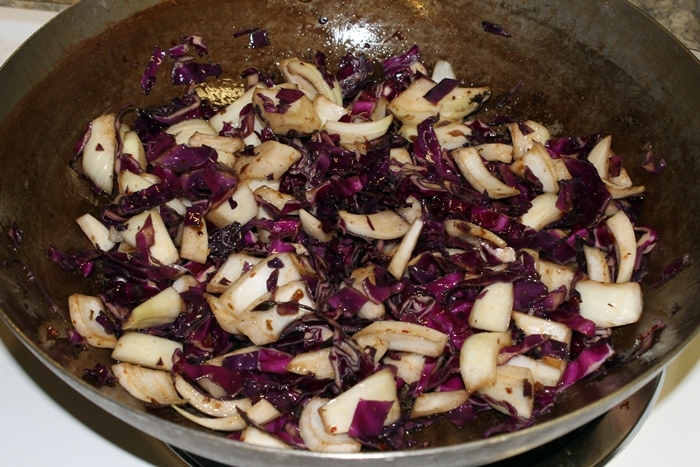 Then we sauteed the cabbage, onion, and garlic in the bacon grease for about 15 minutes, breaking up the bacon and adding it in for just the last few minutes to bring all the flavors together. 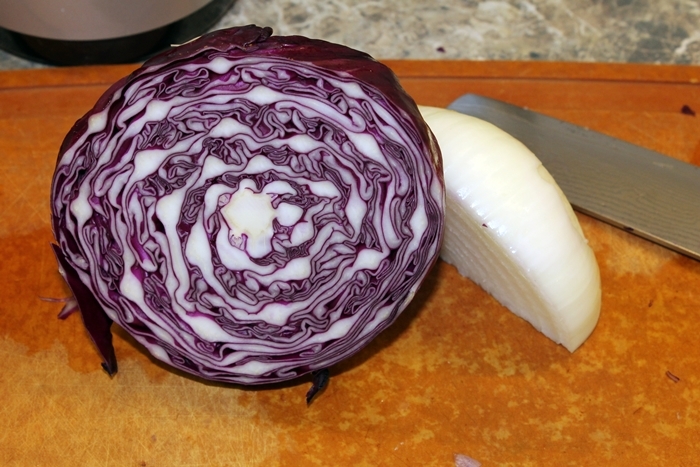 I started out with a reserved amount of cabbage, trying to keep close to Cat’s measurements but Don kept at me to cut up more, claiming that it would reduce down and not be enough for dinner. 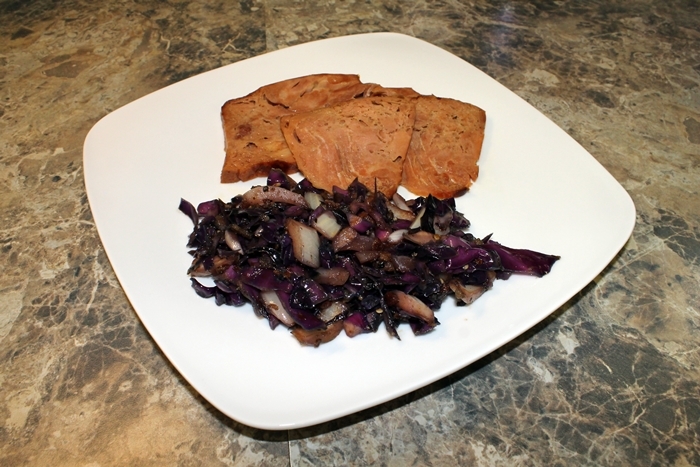 So, in the end we used almost half a head of red cabbage, one half of a large sweet onion, and a heaping tablespoon of the chili garlic paste. It made more than we needed for dinner. (Ahem, who tried to say it looked like enough?) It all worked out in the end though. There was enough left over that I ate it for a lunch snack a few days later and it was just as tasty the second time around. Well you know you’ve made it as a blogger when you get your first stalker 🙂 Seriously though, I take it as a huge compliment so thank you for trying out the recipes! Glad you liked this one, I’m a bit of a cabbage nut too, going to try that thai slaw next – thanks!